The Osizweni Science Centre Toy Library provides an exciting space for discovery and learning. Educational materials are varied and engaging, from puzzles and toys to easy-to-follow computer-based activities. Children are placed in two age groups, three to four and five to six, and their journey of exploration and play is guided by trained practitioners as well as other key staff. As children navigate through the different educational tasks, they develop cognitive, social, psychological and physical skills in a fun and interesting way. As well as stimulating literacy and numeracy skills that bring the world of Mathematics and Science to life, children develop fundamental, life-essential skills such as sustained concentration, resilience, social cohesion and self-confidence. 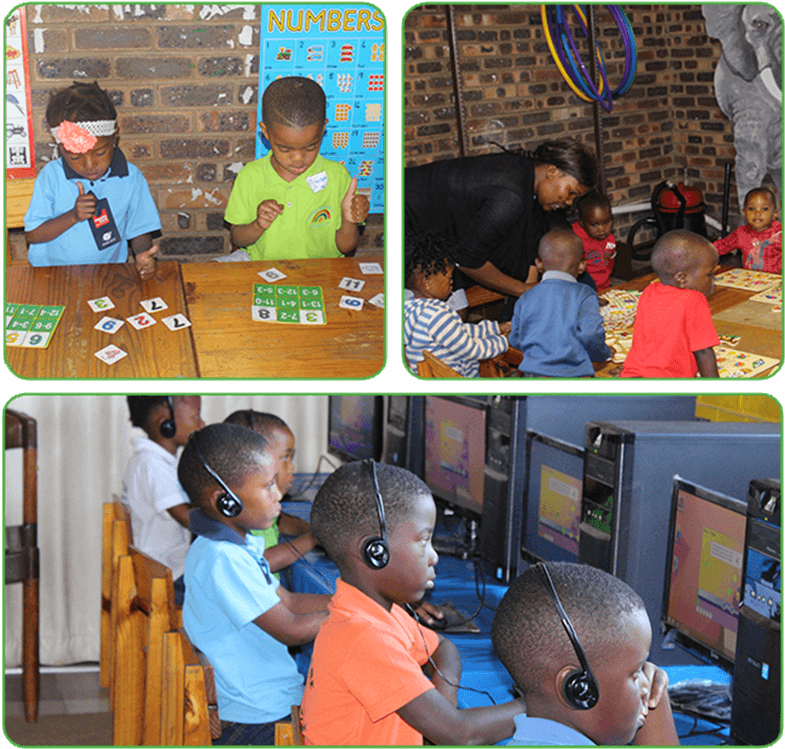 As part of our efforts to reach more children in the early developmental years, the Osizweni Science Centre Toy Library loans educational materials to a number of day-care centres in the region. - Osizweni Toy Library celebrates heritage day.